Tired of the daily grind and ready for a much deserved adventure off the grid? Backpacking is an excellent way to escape from reality and get back to basics deep in the heart of nature (and far, far away from your work emails). Whether you’re looking for a trail to tread, a great spot for your next camping venture, or a hidden gem within one of America’s national parks, these 10 destinations will inspire you to grab your backpack and hit the road in 2017. Wapiti Lake Trail, located within the Yellowstone loop, is a whopping 31.6 miles of backcountry trail that leads directly to the famous Grand Canyon of Yellowstone National Park. Suggested for experienced hikers only, this trailhead is both challenging and rewarding because of its staggering views of the Rocky Mountains, two massive waterfalls and numerous lakes. While the trail is best used between the months of June and October, snowshoeing is an excellent way to tackle it during the winter months as well. Located in southern Illinois just five hours south of Chicago, Shawnee offers 160 miles of trails and plenty of forest floor to tread. In fact, it’s a perfect destination to take in the best of spring: wildflowers, natural springs and rolling hills and valleys. If you’re looking for physical and spiritual renewal, experience Shawnee National Forest. 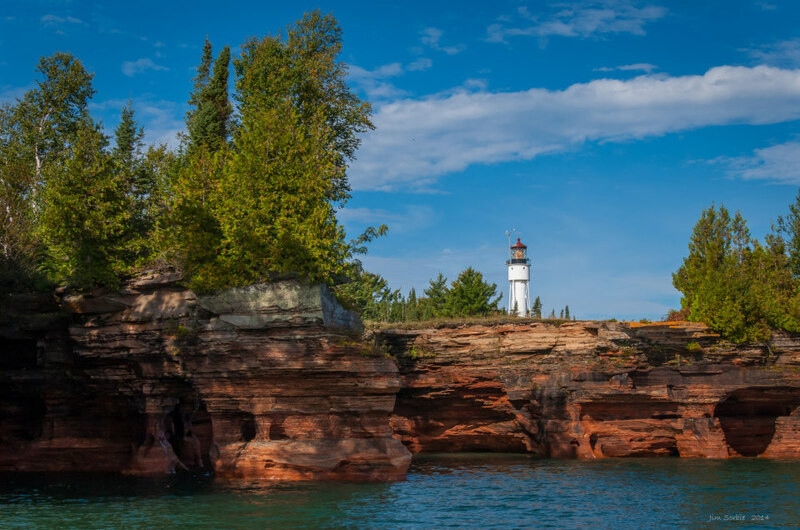 Most people know the Apostle Islands are home to the famed Lake Superior sea caves, but few know how much adventure is available on dry land as well. We’re talking more than 50 miles of maintained trails, quaint lighthouses, abandoned quarries, old farm sites, beaches, campsites, and scenic overlooks. For the best of both worlds, take on the Lakeshore Trail, which offers panoramic views of the sandy beaches, surrounding cliffs and nearby Mawikwe Sea Caves. Located west of Leland, Michigan, this 15,000-acre island has so much space to explore that you might spend your entire trip thinking you have all of North Manitou Island to yourself. Accessible only by an 11-mile ferry ride, visitors to North Manitou Island are given exclusive access to Sleeping Bear Sand Dunes National Lakeshore as well as nearly 11 miles of hiking trails. For the ultimate experience, spend the night camping near the lakeshore, listening to the waves crash against the shore and taking in the starry night skies. Named a UNESCO World Heritage Site, the Grand Canyon is one of America’s oldest, most well-known and most popular national parks. However, of the more than five million people that visit it each year, few are aware of Havasupai Falls hidden deep within it. Named after the Havasupai people who live on the reservation nearby, Havasupai Falls is a special favorite among wayward explorers. It takes some work to get to the Falls (it’s 10 miles one way! ), but refreshing blue-green waters are well worth the hard work. Grand Canyon National Park is definitely a destination that you want to include on your bucket list — a hike to Havasupai Falls will put your trip over the top. 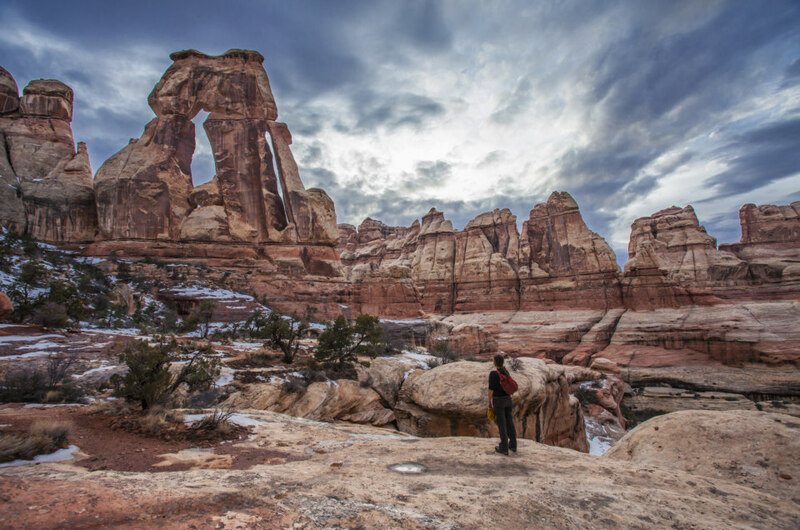 Druid Arch is easily one of the most Instagram-famous spots in all of Utah. The round trip 10 mile hike goes through Canyonlands National Park and features an expansive view of sculpted rock, multicolored pinnacles and the Needles. Don’t let the 10-mile round trip hike and its inclines deter you from making this trek — it’s definitely a must see. If a Dr. Seuss book could come to life, we’d have a feeling you’d find it in Joshua Tree National Park. Spanning nearly 800,000 acres, this desert park includes many natural oases, trees of intricate design, rugged mountains and terrain, exposed granite monoliths as well as a variety of natural formations. There are nine campsites within Joshua Tree. If you request a spot in advance, you can have your pick of the entire park along with a front row seat to one the best stargazing locations in the entire US. At a 3,000 foot elevation, Smith Rock will give you a true feel for Oregon’s amazing views and natural features. Its 1,000 (plus!) bolted rock climbing routes have garnered attention from the climbing community for years, but its 12 marked trails within the park territory are hidden gems for hikers of all skill levels. Whether you are looking to explore Oregon’s natural beauty or find a place for your next family trip (dogs too! ), Smith Rock State Park offers a unique backpacking experience for everyone. Imagine this: white capped mountain tops, crystal clear lakes, and lush green forestation. Like the sound of that? Check out Glacier National Park in the state of Montana. With views that resemble the European Alps, 1-million acre American treasure features parts of two mountain ranges, over 130 lakes, more than 1,000 species of plants and hundreds of animals and birds in between. There’s no such thing as a bad hike within Glacier (really!). Some of our favorites include Highline Trail, Grinnell Glacier, Pitamakan-Dawson Loop, Iceberg Lake and St. Mary and Virginia Falls. If you ever thought South Dakota was simply a flat prairie state, the Black Hills region will change your way of thinking. Full of Deep blue lakes, open grasslands, pine forests, and even canyons Black Hills National Forest is far from your stereotypical Located in western South Dakota and northeastern Wyoming, the park offers 353 miles of trails and over 13,426 acres of wilderness to explore. Looking for a great view? 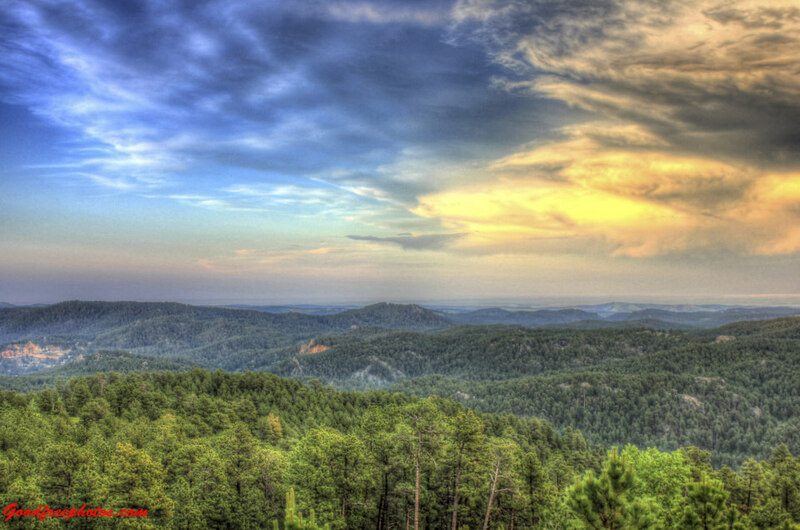 Check out Black Elk Peak and Breezy Point, two scenic overlooks of the forest.